Chatbots, so fashionable in today’s digital marketing landscape, contribute to the transformation of a company a new channel of communication with the customer. 0.1 Chatbots are included in conversational systems. 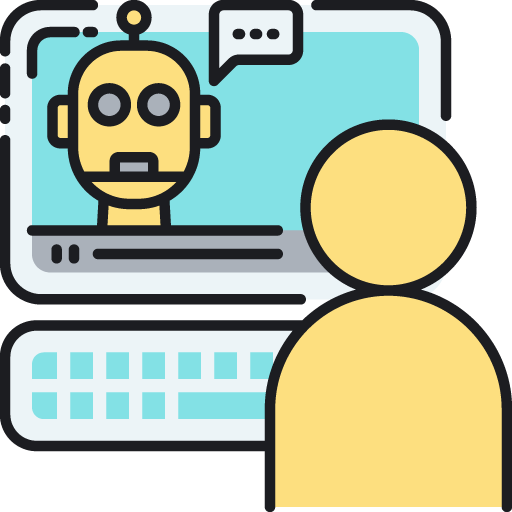 Chatbots are included in conversational systems. Conversational systems are applications capable of understanding the language with which one interacts. They maintain a conversation when emitting answers, these answers can be predefined or generated to the moment by means of techniques of artificial intelligence. Text communication has been used to establish the conversation, although nowadays solutions such as Apple’s Siri and Amazon’s Alexa allow interaction through voice. Chatbots are text-driven conversational systems that receive and return information through text. These systems are very present in messaging applications such as Telegram, Facebook, and soon in Whatsapp with the launch of Whatsapp for business. These systems allow the user to enjoy customer service at any time. For the companies it allows not to have to have an employee at all time pending of this type of consultations. There is also an increasing tendency for these systems to allow the automation of tasks such as the acquisition of a service as the solution that aims to offer Lemonade, insurance contracts through the app and chatbots. Destina, has a bot for Telegram or Facebook Messenger that allows flight search. Booking, on the other hand, has a good example of chatbot for customer service. But not only customer service, chatbots can help incentivize purchases on a website. While the user is searching for the items to buy, the chatbot can recommend suggestions or assist in the purchase of the product or service. The use of these tools is no longer a privilege for large companies. This is thanks to the many alternatives available for their development. Any company, regardless of its size, can make an investment that will surely provide satisfactory results. Go to our digital transformation or consultancy if you want to know how we can help you reach your goals.